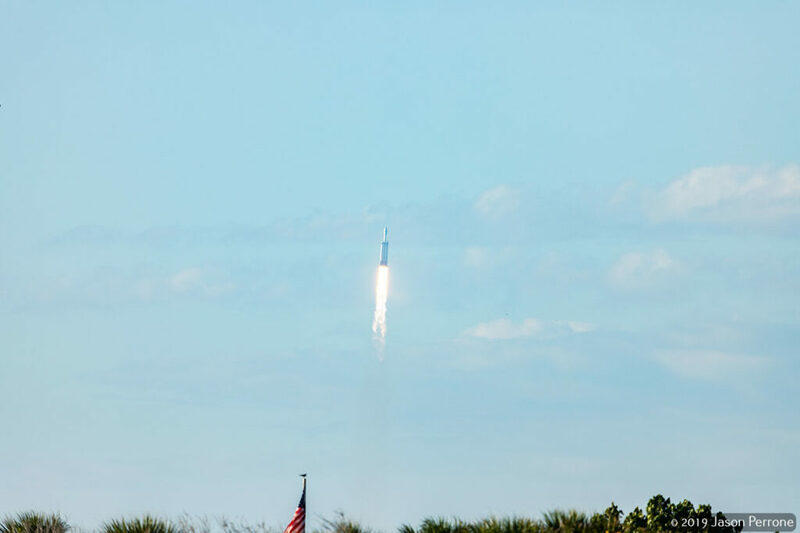 On April 11th, 2019 SpaceX launched the Arabsat 6A satellite using the companies most powerful rocket, the Falcon Heavy from launch complex 39A at the Kennedy Space Center in Florida. This was the first commercial launch for the Falcon Heavy rocket. 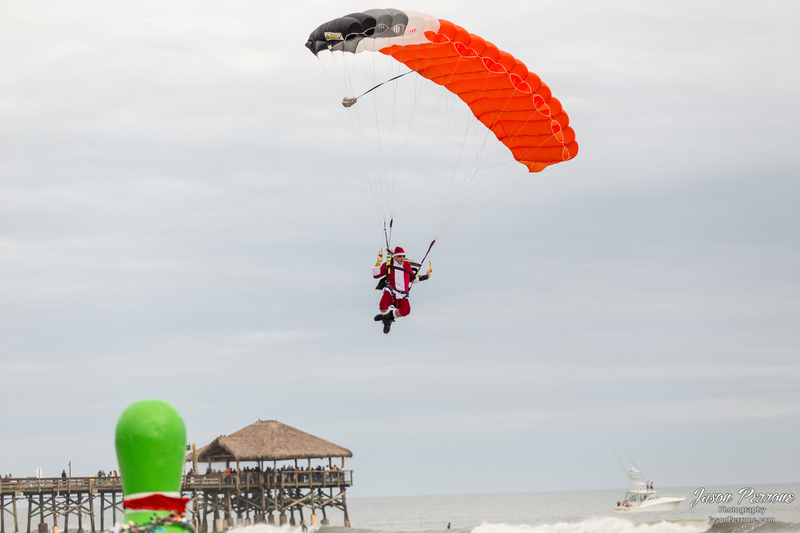 For the launch, I decided to go to Jetty Park. However, parking was pretty bad, so I had to park further south and walk a mile and a half North to the park to view the launch. It was worth it as I wanted to get a specific shot for when the rocket boosters return to earth. You can see all the images in my aerospace photography gallery where you can purchase prints if you would like. 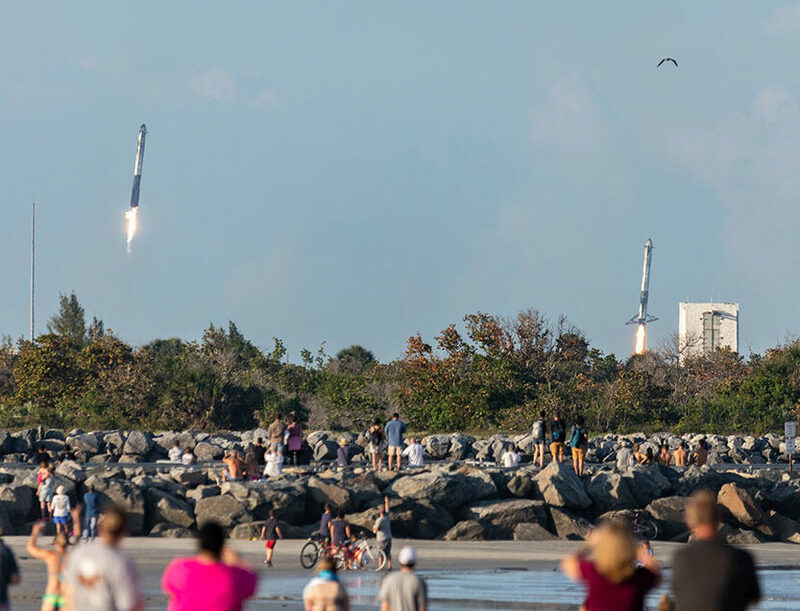 A SpaceX Falcon Heavy rocket lifts off for Pad 39A at the Kennedy Space Center in Florida carrying the ARABSAT-6A satellite into orbit. 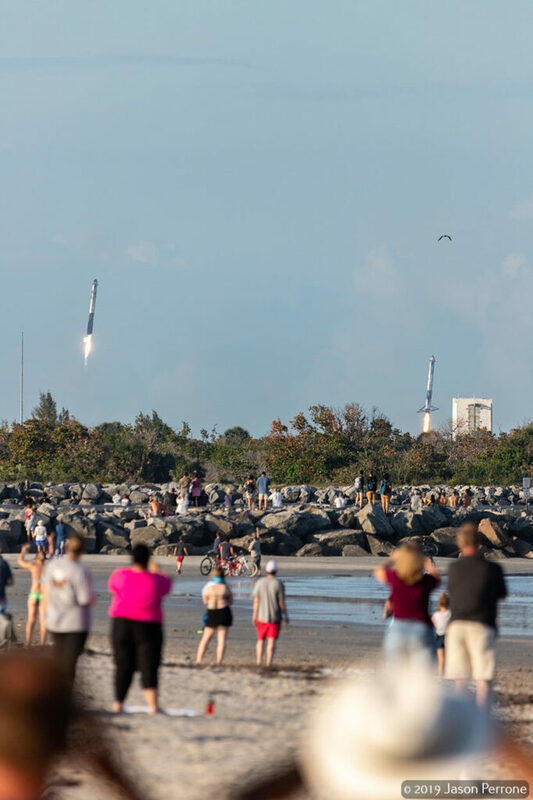 Two SpaceX Falcon Heavy boosters return to the Cape Canaveral Air Force Station after successfully launching the ARABSAT-6A satellite into orbit. 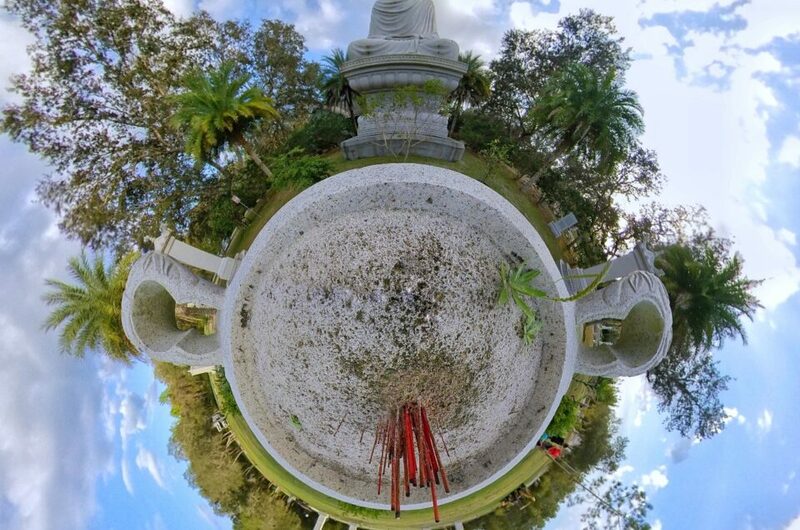 While I was photographing the launch, I was also capturing a 5.7K 360-degree VR video that I uploaded to YouTube. You can view it by following the link or see it below. When viewing the video make sure to change the quality to 5.7K or the highest resolution your internet connection will allow. While you can’t make out the details in the rocket, the purpose of the video is to document the crowd and their reactions to the SpaceX launching the worlds most powerful rocket in current production. The most powerful rocket ever built was the Saturn V that took the Apollo missions to the moon.